We are looking for individuals and organizations that believe in our mission and are passionate about youth development in the communities we serve. Sponsorship monies help offset the cost of a wide variety of expenses incurred throughout each year, ensuring that we can continue to provide engaging, educational programs that will develop our future leaders. We would not be able to do the work we do without the generous support of our sponsors. We are proud to be working in partnership with these companies. Join us in saying thank you by patronizing their business whenever possible. 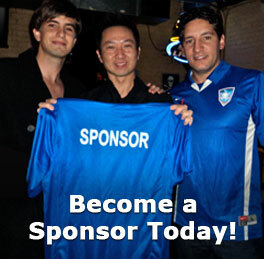 If you’d like to learn more about becoming a sponsor, please send us your contact information below or email us at sponsors@unitednationsfc.org.